So, listen. We generally like to be upbeat about being a freelance writer. We want to encourage you, give you ideas on how to start or build your business, and most of the time, we write articles about how amazing the freelancer lifestyle is. But- today we want to talk about another side of the freelancer lifestyle, which is that it can be lonely. Well, when you leave a traditional job to start working from home, the usual reactions are positive: it’s great to work more on your schedule, in whatever clothes you want. You can eat at the times that are best, and you’re not bound to the traditional ways of doing things. In the beginning, you might be happy to be away from some of your colleagues and not have to deal with small talk- instead, you can focus on being productive. With your newfound freelance freedom, you can take leisurely lunches (not always, but it is an option), you can go to the gym at off-peak times, and you can do other activities that are reserved for the weekends for most people. As great as this is, for you, you might find that you don’t have many people to do these activities with. If the majority of your friends work traditional jobs, then your leisurely lunches will be on your own. Or, you lose your after-work exercise buddy because you want to work out in the mornings now. These changes, while part of an overall positive picture, can create some loneliness for freelancers. You may find that you miss that office chit chat and that even though it was annoying at the time, that it would be welcome now. As you continue with your new, more flexible life, you might find yourself striking up conversations with random strangers more than you did in the past because you crave human interaction. Even if you work with a remote team and have interaction through communication tools like Slack, it’s still not the same as the interaction you’re used to. Both extroverts and introverts might find that they experience some loneliness. It’s normal. But you also don’t have to continue to feel that way. Befriend other freelancers (not just writers)– Take the time to develop more friendships, especially with people whose schedules may line up more with yours. This way, you have options for people who can grab a mid-afternoon coffee, or can do that mid-morning workout class with you. 2. Nurture the relationships with non-freelancers– It’s easy to feel like the people you work with are “work friends” and not “real friends” but once you’re away from them, it can feel like you’ve lost your real friends. Consider who you know from work (or other acquaintances) that you can further develop relationships with. Though this group of friends won’t have the same weekday flexibility as your freelancing friends, having a well-rounded inner-circle can be helpful to combat loneliness. 3. Get more comfortable with alone-time– learn to savor it. In the beginning, you might enjoy being alone. Then, the reality sets in that you’re alone, a lot. The feeling of loneliness can increase when we focus on it and view it negatively. Instead, reframe the experience to place value on the time that you have to yourself. Now, this doesn’t mean that you only spend time on your own (especially if you are feeling lonely), but instead, you view at least some of your alone time as important and critical to your work and personal well-being. 4. Join a club or professional group that meets up in person– This is a great opportunity to spend time doing something you enjoy and find others with similar interests. Maybe it’s a book club, a cooking class, a group of local professionals (check your Chamber of Commerce), you’re giving yourself opportunities to be around others. And, you never know, this could create some good networking opportunities for your freelancing biz. 5. Give back!– Find a cause or a place that’s important to you, or just choose one that works with your location and schedule. One of my favorite activities has been visiting our local senior center with my son to play bingo. We have such a good time and so do the people that we meet. I always walk away feeling like we got more from the experience than the people that we visited, and I never walk away feeling alone. 6. Consider getting a pet- This may not work for everyone, and a pet should not be a replacement for human-to-human interaction, but if you’re going to be working from home full-time, and the people in your household are on board, think about adding a pet to the mix. My suggestion would be the furry kind, as those tend to be a bit warmer to the touch, and perhaps a bit friendlier, but if a reptile or fish would be your pet of choice- go for it! 7. Get some exercise (out of your house)- Not only will this help your endorphins flow, but you’re giving yourself a chance to get outside (or to the gym) and meet other people. I’m always amazed that at the gym, no matter what time, of day, people are there. Or, if you head to a local park or running trail, you’ll probably run into people there as well. Don’t be afraid to strike up a conversation! 8. 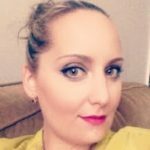 Practice gratitude- Similar to the idea of getting more comfortable with alone time, taking the time to reflect on the positives and what you have to be grateful for can be a strong deterrent for feelings of loneliness. Take 3-5 minutes at the start of each day (and throughout the day as needed) to reflect on what you have to be grateful for. Go one step further and write these down, either on your calendar or a journal of some kind. 9. Get out of the house- We love co-working spaces and coffee shops as a way to work on your own without actually being alone. However, if communal spaces make it hard for you to concentrate, then you may need to work at home and take trips out for breaks in your workday. And, if these feelings are persisting, don’t panic- you don’t have to head back to work just yet, but don’t be afraid to check in with your doctor or therapist if you need some more support. 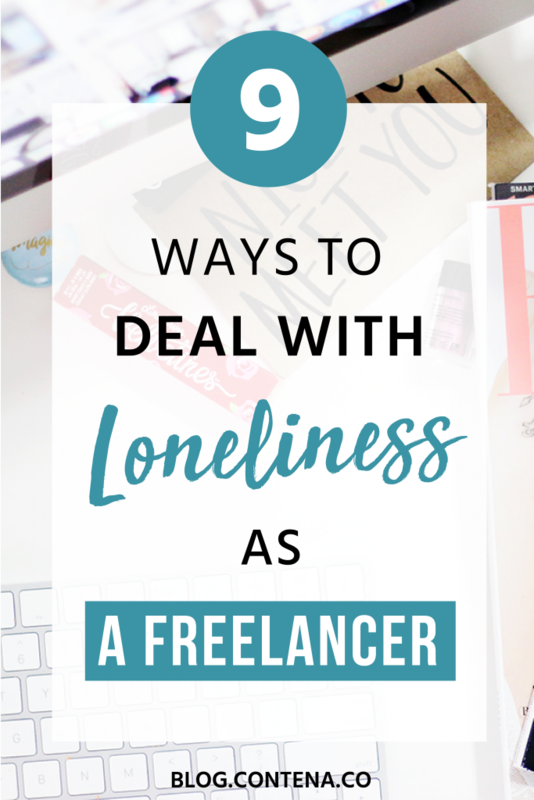 Feeling lonely is a normal experience, especially as a freelancer when you spend a lot of your time working from home. Try one (or all nine) of these ideas if you’re starting to feel lonely. Over time, you’ll get back to feeling like yourself and enjoying the experience of working from home as a freelancer.